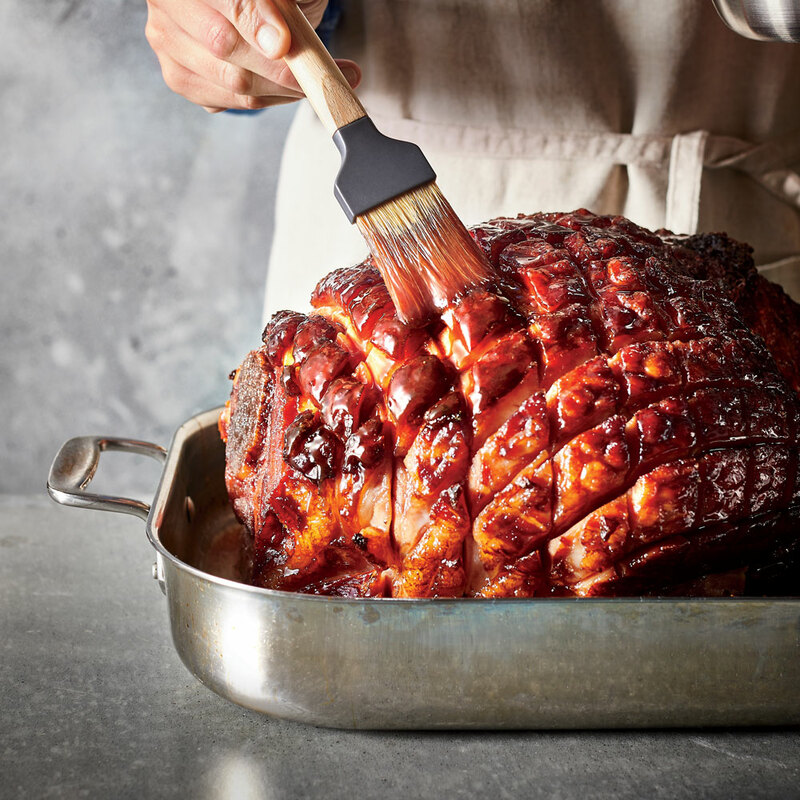 Brown sugar and mustard are a classic combination; ruby port adds rosy color and complex, sweet flavor for a glaze that builds flavor and a crispy crust on a salty, smoky ham. Whisk together brown sugar, port, and mustard until smooth. Refrigerate until ready to use, up to 1 week.